Yesterday evening Apple hosted its March 2019 event. The firm has been busy recently updating its range of hardware by releasing the new 10.5-inch iPad Air, speed boosted iMac line, and updated AirPods - so Monday's event could focus on services. There were four main announcements last night and they are largely self-descriptive, as follows; Apple TV+, Apple Arcade, Apple News+, and Apple Card. 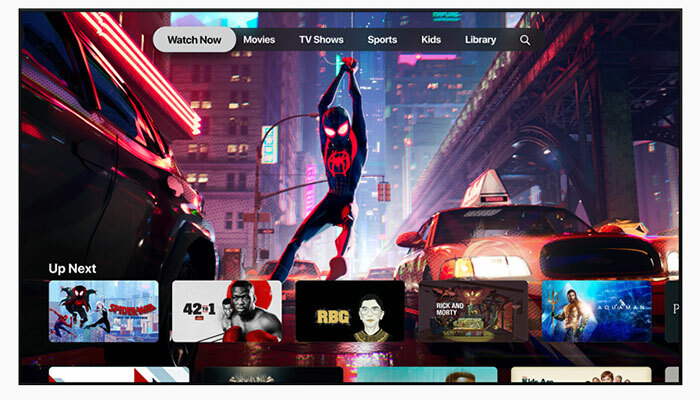 Apple TV+ is a video subscription service based around the new Apple TV App on its way to iOS devices, Apple TV, Samsung smart TVs, and on Amazon Fire TV, LG, Roku, Sony and VIZIO platforms. The new app will be ready as soon as May, depending upon your platform, and the Apple TV+ subscriptions will come on line in autumn. Apple TV+ is an ad-free on-demand streaming service with "exclusive original shows, movies and documentaries," from celebrated creators and artists such as "Oprah Winfrey, Steven Spielberg, Jennifer Aniston, Reese Witherspoon, Octavia Spencer, J.J. Abrams, Jason Momoa, M. Night Shyamalan, Jon M. Chu and more". It will launch with more than 100 exclusive movies and TV shows from these creators. Ahead of the autumn launch of Apple TV+, you will still be able to use Apple's new TV app to sign up to 'Apple TV Channels' à la carte. These channels include services such as HBO, Starz, Showtime, CBS All Access, Smithsonian Channel, EPIX, Tastemade, Noggin and other regional channels. Apple's TV app will use its in-built smarts to suggest shows and movies from over 150 streaming services and pay-TV services including Amazon Prime and Hulu. Last but not least any videos you own, buy or rent from iTunes will be available via the new Apple TV app. Apple is yet to announce its pricing plans. Apple is also getting into gaming subscriptions. However, unlike many efforts we have seen recently, this is not a streaming service. Instead, Apple Arcade offers a subscription that opens up the best paid-for games on iOS for a monthly fee. Apple says that there are many critically acclaimed paid-for games that never really take off and only reach a small but dedicated audience. It hopes the Apple Arcade model will boost the audience of not just the well known paid-for mobile games from big publishers but those from minnows too. 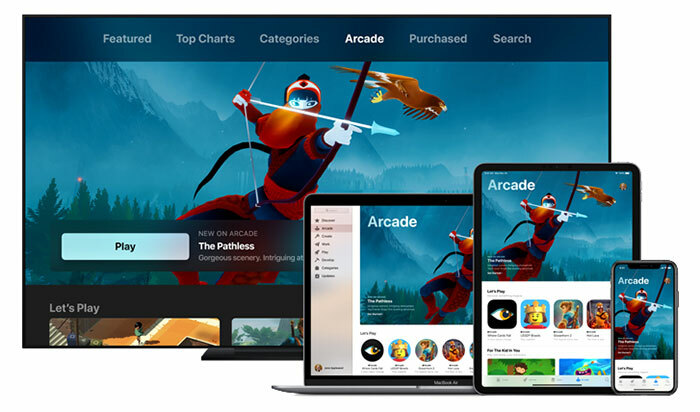 Games for Apple Arcade are 'hand-picked' and initially include titles from studios such as Annapurna Interactive, Bossa Studios, Cartoon Network, Finji, Giant Squid, Klei Entertainment, Konami, LEGO, Mistwalker Corporation, SEGA, Snowman, ustwo games and dozens more. Additionally Apple says that it is working with developers "to create over 100 new and exclusive games to play across iPhone, iPad, Mac and Apple TV". Again, pricing for this service will be announced nearer to it becoming available, in autumn. Apple News has been around for years but the new Apple News+ will make the virtual news-rack come alive with access to 300 magazines and newspapers including The Wall Street Journal, The Los Angeles Times, The Atlantic, Esquire, Wired, Vanity Fair, Food & Wine, Good Housekeeping, GQ, National Geographic, People, Rolling Stone, Vogue, and ELLE. 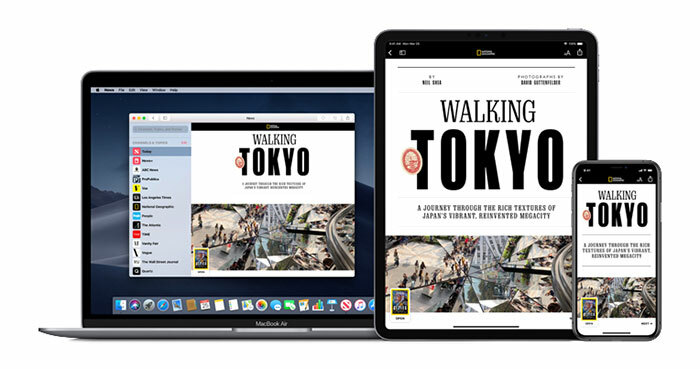 You will read these periodicals in "richly designed layouts, featuring animated covers, vivid photography and bold typography optimised for iPhone, iPad and Mac," says Apple. What you read is private, advertisers can't track what you are reading. At least for this subscription, Apple has shared its pricing plan. It is available immediately in the US and Canada for $9.99 and $12.99 respectively. That would appear to be good value, even compared to the subscription fees for some individual periodicals. A month's free trial is available. Apple has launched its own credit card backed by Goldman Sachs and MasterCard. You apply for the card from your iDevice and the card, if/when approved, is stored in your Wallet app where you can view your statements, balance, and payment due dates. A number of interesting benefits are available with Apple Card. Firstly there is 2 per cent cashback on purchases, or 3 per cent when buying Apple hardware / services. Apple's Wallet app tags locations and retailers to let you check your payment activity over time and details of your purchase, and their product/service categories are stored locally, on your device. The Apple Card doesn't have a credit card number, CVV, signature, or expiration date - however you can generate these if you wish to buy from somewhere that doesn't yet support Apple Card. 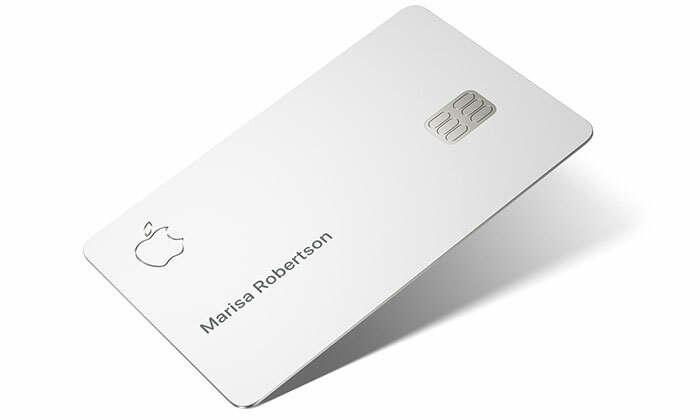 Apple will also provide customers with a physical Apple Card if they wish. This titanium card might be useful for travellers, reports The Verge, but it notes that all cashback is reduced to 1 per cent with this payment method. Lastly it is reported that Apple isn't going to levy late fees or increased interest rates for late payments. An in-app wheel shows you an easy to understand wheel of balance, interest, and credit. 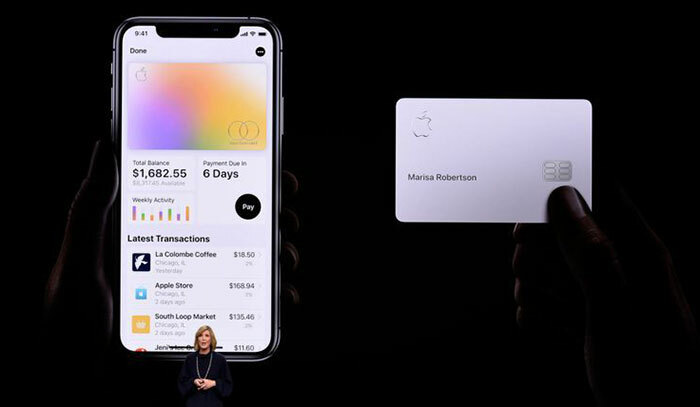 More details will be revealed ahead of the release of Apple Card this summer. A credit card? All under one company? Yeah, no. Apple are allowed to go too far under one name. I wouldn't be surprised if regulating authorities start looking at them having too much under one umbrella? That's why you buy iBaby Care+. What are you, poor? I wouldn't be surprised if regulating authorities start looking at them having too much under one umbrella?